Quincy resident Joe Vonnie Anderson died in Quincy on Jan. 3, 2019, due to cardiovascular disease. She was 87. Joe was born July 29, 1931, in Eau Claire, Wisconsin. She is survived by daughter, Athea Marie Anderson and son, Francis Joe Anderson. Patrick Louis Demery passed away on Jan. 12, 2019. He is survived by both of his daughters, Suzette Marie Reed and Mary Madeliene Rogers, his grandson, two brothers, two sisters and lots of nieces and nephews. Patrick’s services will be held on Feb. 2 at the Sierra Christian Church, off of Highway 70, at 12 p.m., with a reception to follow. If you have any questions you can call Janie Smith at 832-5134 or Suzette Reed at 375-0464. 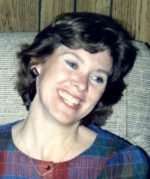 Linda Koehne, 67, passed peacefully from this life in the early hours of Jan. 14, 2019, in Quincy, after living with the challenges of Chronic Progressive Multiple Sclerosis for 30 plus years. Born in Sanford, Maine, on May 10, 1951, her family moved to Hayward, in 1955, where she attended All Saints Grammar School. The family moved to Livermore, in 1962, and she attended St. Michael’s Grammar School and Granada High School, where she was elected President of the Student Leadership Conference and represented the school at the conference’s gathering in Asilomar. She was also crowned Homecoming Queen. She enrolled in Chico State University’s Nursing program in 1971, where she met her future husband, Ralph. After their marriage in 1972, Ralph was hired by the Forest Service and they found their way to Quincy in 1974. Linda continued her nursing studies at Feather River College, and worked for Drs. Huffaker, Gonsalez and Price until diagnosed with MS in 1986. Linda enjoyed bird watching, conversing with friends, gardening and cooking. Her favorite color was the sun. She was preceded in death by her father, Gerard Thibeault and sister Anne Schweickert. She is survived by her loving, devoted husband of 46 years, Ralph Koehne, of Quincy; her mother, Doris Hamann and her brother, Dennis Thibeault, both of Quincy; her sister, Celine Smania, of Carson City, Nevada; niece, Julie Knight and nephew Daniel Schweickert, of Livermore and Timothy Schweickert, of Vancouver, British Columbia, Canada; and all the family and friends not mentioned here whose lives she touched over the years. A special thanks to those who so lovingly assisted her over the years including Paula Buus, Lisa Hatzell, Suzie Pierce, and Noreen Wilson (deceased). She will always be remembered for her contagious smile and engaging, caring personality.